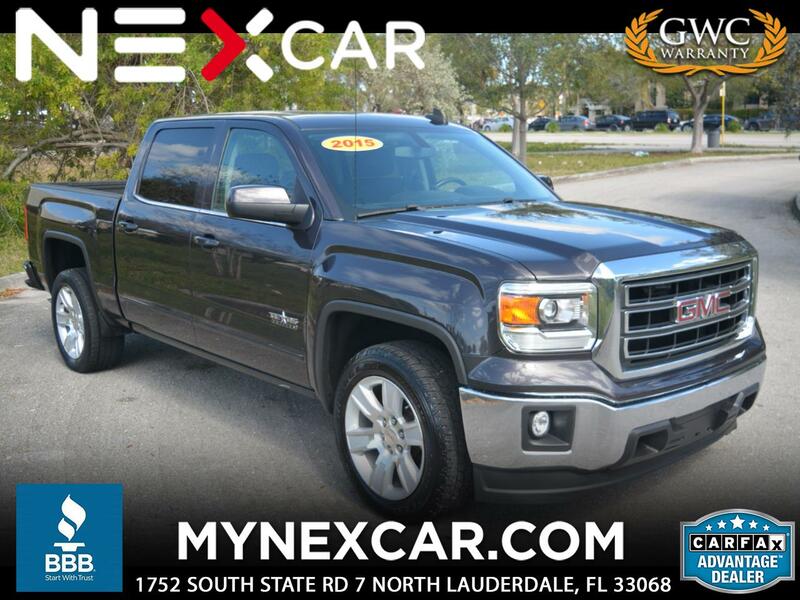 BEAUTIFUL 2015 GMC SIERRA 1500 SLE TEXAS EDITION CREW CAB LONG BED AUTOMATIC TRUCK! GRAY ON GRAY WITH WOOD TRIM. FEATURES: PREMIUM SOUND SYSTEM WITH TOUCHSCREEN INFOTAINMENT DISPLAY, 5.3L VORTEC V8 ENGINE, INTERIOR IN PERFECT SHAPE, TEXAS PACKAGE (20-INCH POLISHED ALUMINUM WHEELS, A TRAILERING PACKAGE, LOCKING REAR DIFFERENTIAL, BODY-COLOR OUTSIDE MIRROR CAPS AND DOOR HANDLES, AND TEXAS EDITION BADGES) POWER WINDOWS/LOCKS/MIRRORS/SEATS, AM/FM/CD, PARKING SENSORS, BACKUP CAMERA, CRUISE CONTROL, 4 NEW TIRES, TINT WINDOWS, BED IN PERFECT SHAPE AND MUCH MORE!